You might think that these old Westerns are pretty formula – same Director, same Cast, etc. But when you dig a bit deeper you’ll find something special about each one. And To the Last Man has a couple of surprises. 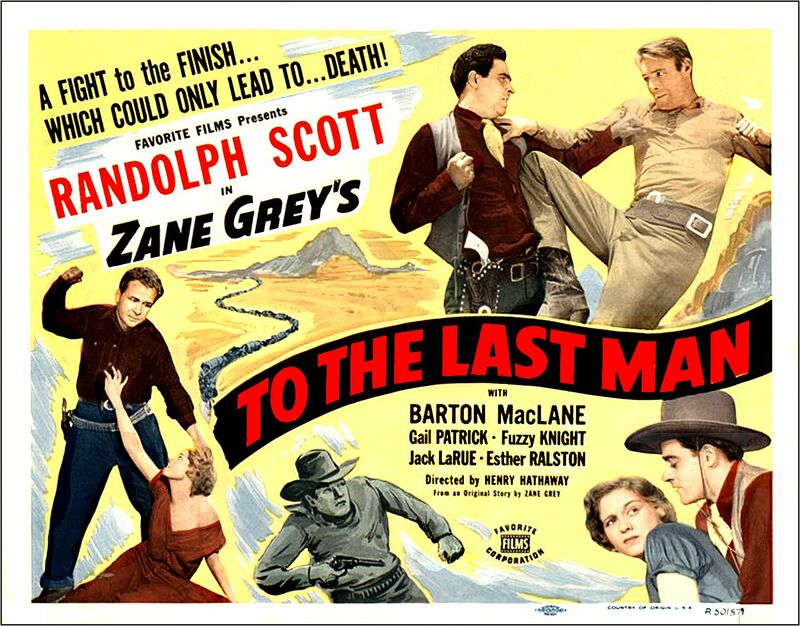 It’s 1933 – the Great Depression – the Dirty Thirties – and Henry Hathaway has just completed To the Last Man – the last of 5 Westerns that he Directed in 1933 – 4 of which Starred young Randolph Scott. 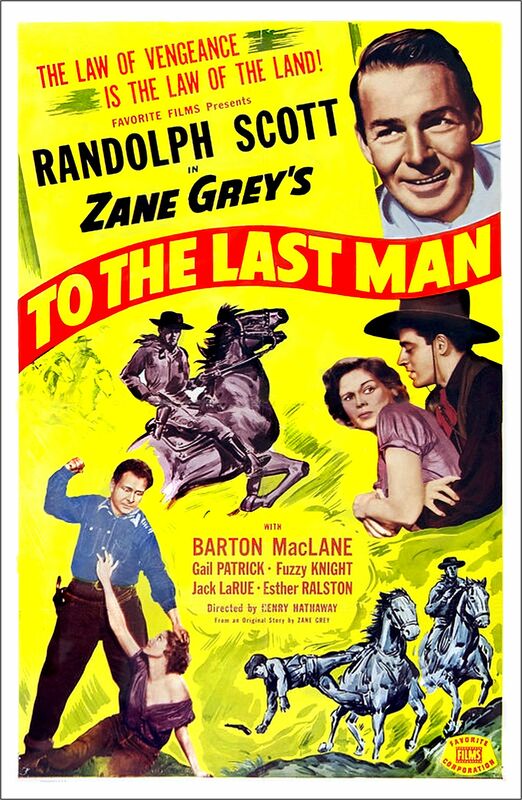 One special feature of all of these movies was that they were created from books written by legendary Western writer, Zane Grey. This assured us a good yarn, with strong characters and dialogue – unlike many of the pulp Westerns of the era. This sometimes made for some unusual story telling. 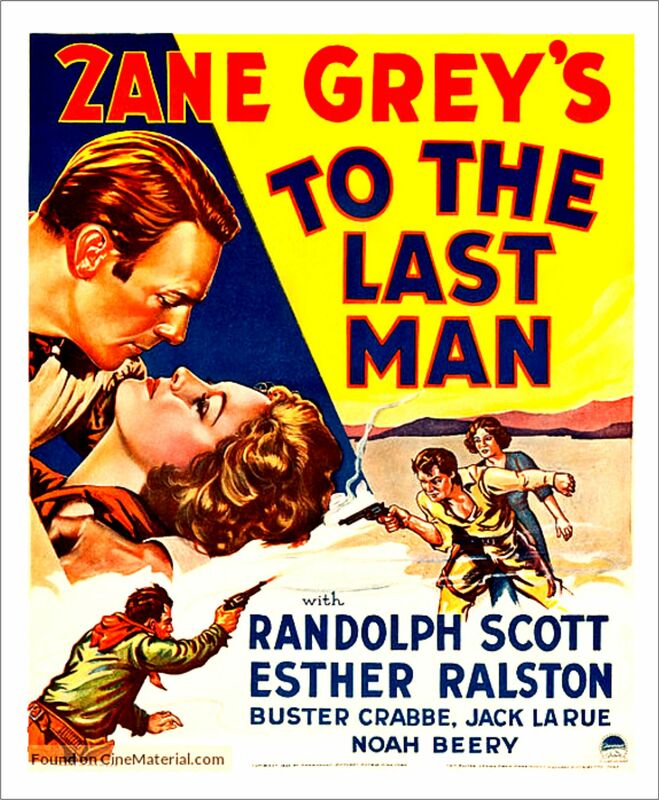 For instance, Scott (the Star of To the Last Man) doesn’t make his appearance in the movie until about the 23:00 minute mark! – and the movie is only 1:08 minutes long. Very few films would hold back the appearance of it’s Star for that long! Notice anything special? Any names that jump out at you? If you say John Carradine I’ll definitely give you point. BUT that’s not the name I’m talking about. 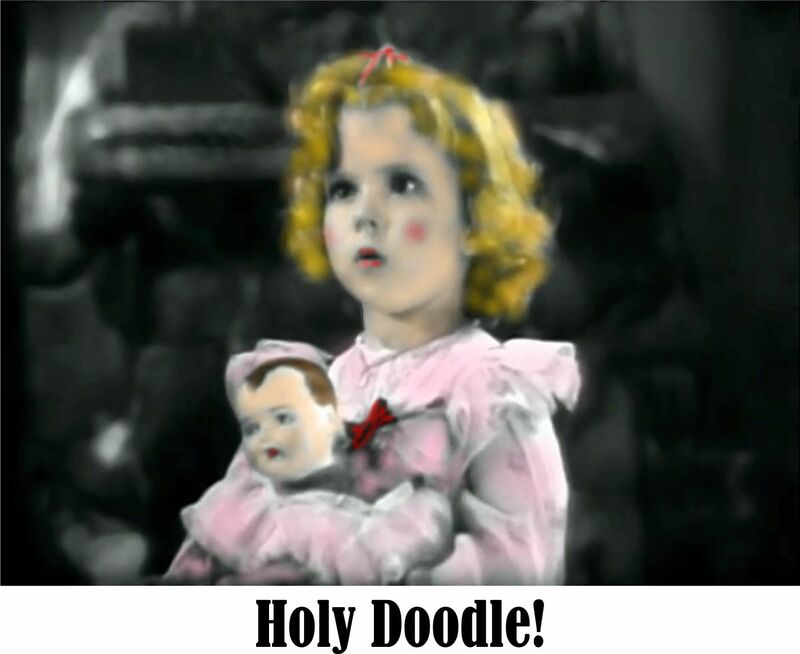 Yes, this was one of Shirley’s very first movies! and the Movie Box-Office Champion for the consecutive years 1935-36-37-38.